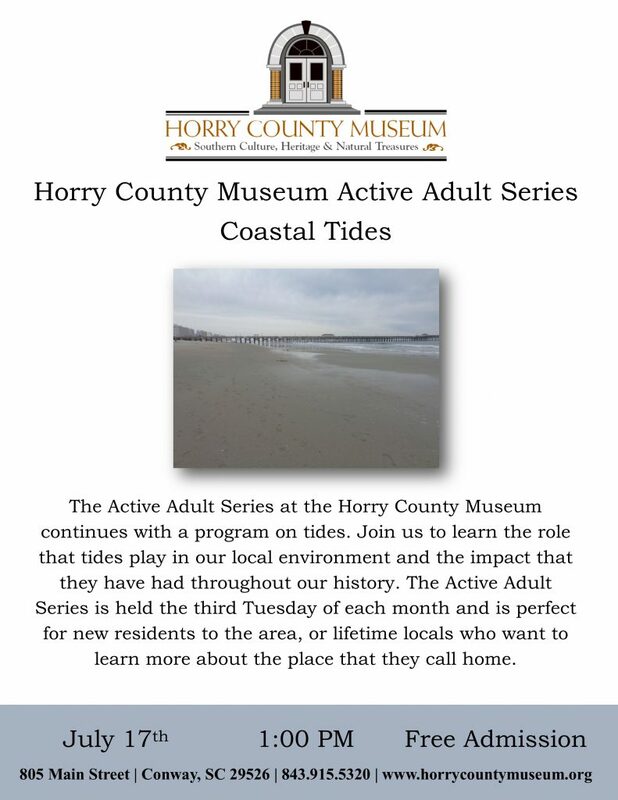 The Horry County Museum will host a lecture by George Wingard, from the Savannah River Archaeological Research Program (SRARP), on December 8th at 1:00 PM. 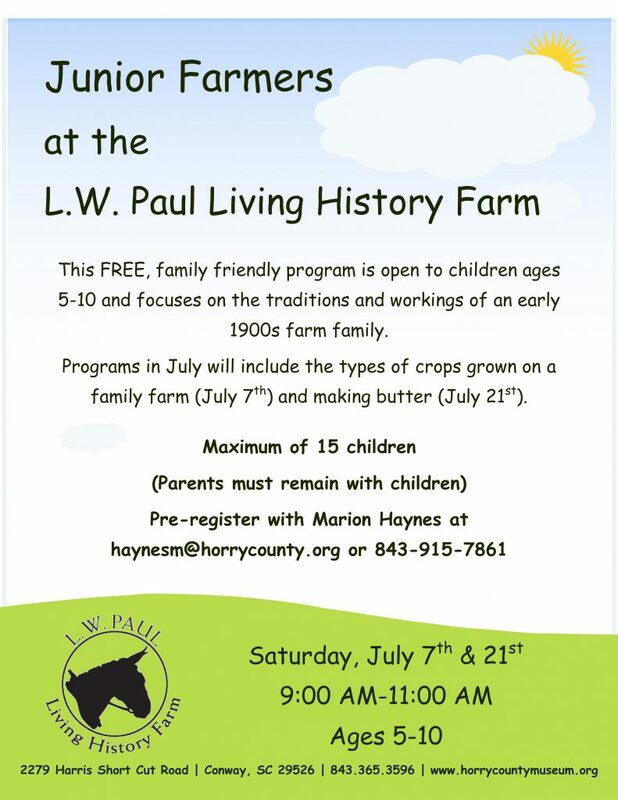 Mr. Wingard will discuss the discovery of an alkaline-glazed stoneware vessel created by the enslaved potter Dave of Edgefield, South Carolina and discovered/excavated by the SRARP. 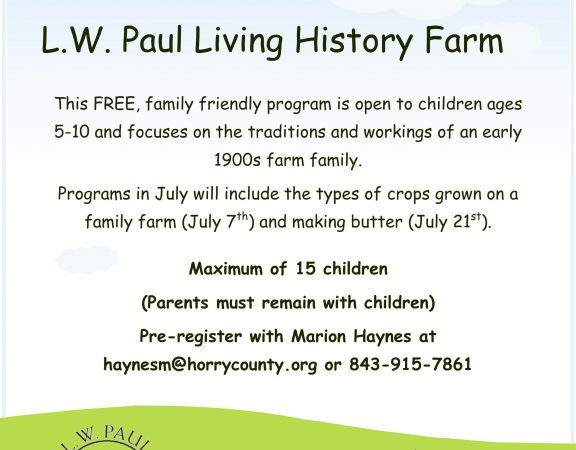 He will also highlight its uses assisting with public outreach and discussing the importance of history and archaeology. 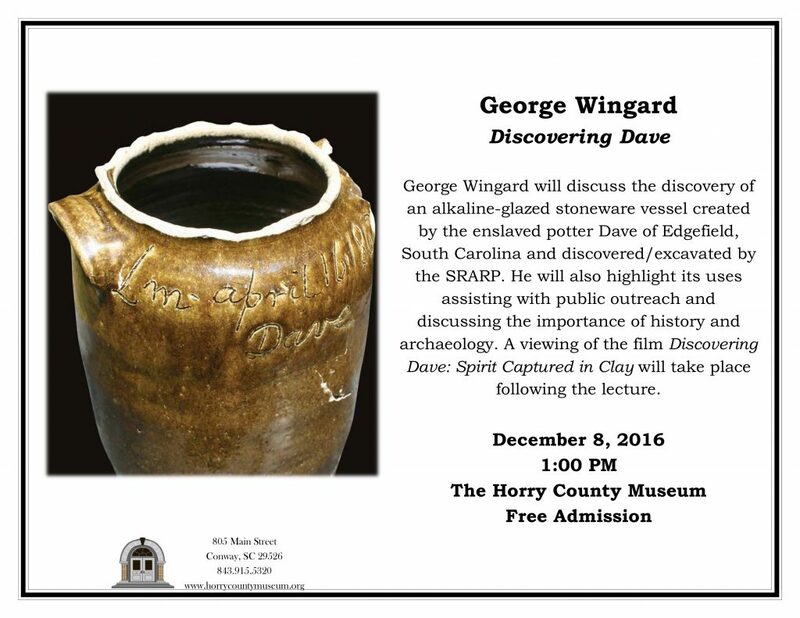 A viewing of the film Discovering Dave: Spirit Captured in Clay will take place following the lecture. George Wingard joined the SRARP staff in 1993 with a B.A. in Humanities from the University of South Carolina. He is now the Program Coordinator and oversees the budgets, personnel and daily administration. 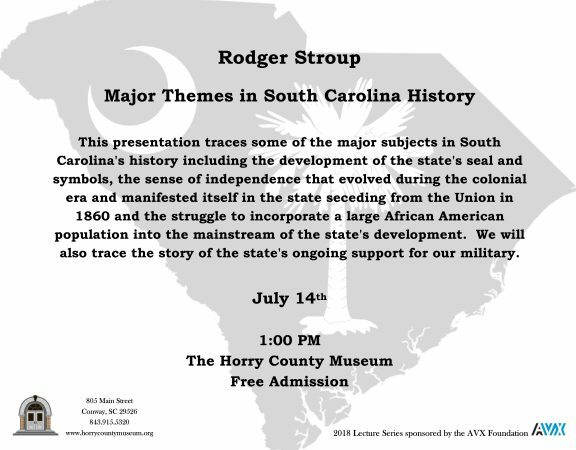 The SRARP is a division of the South Carolina Institute of Archaeology and Anthropology (SCIAA) which is a department of the University of South Carolina. The SRARP is located on the Savannah River Site (SRS) a Department of Energy (DOE) facility straddling Aiken, Barnwell, and Allendale counties. 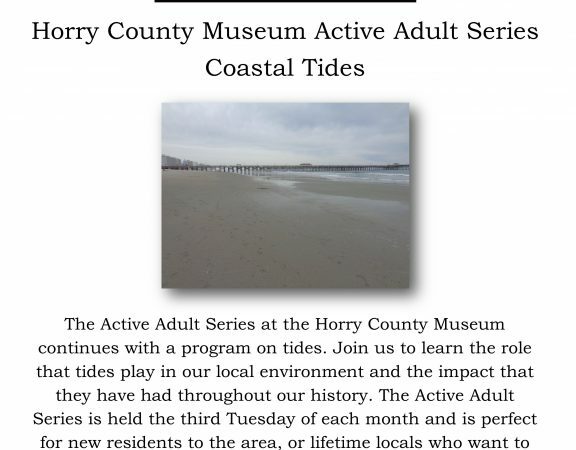 For more information, and to view a list of upcoming programs at the Horry County Museum, call 843-915-5320 or visit our website at www.horrycountymuseum.org.